Canadian tenor Isaiah Bell gives us an unprecedented look – recorded in real time – at what it takes to get ready for a world premiere. Day off. A bit foggy headed after the post-run-through wind-down, but Rufus took us out for dim sum this morning, which was lovely. 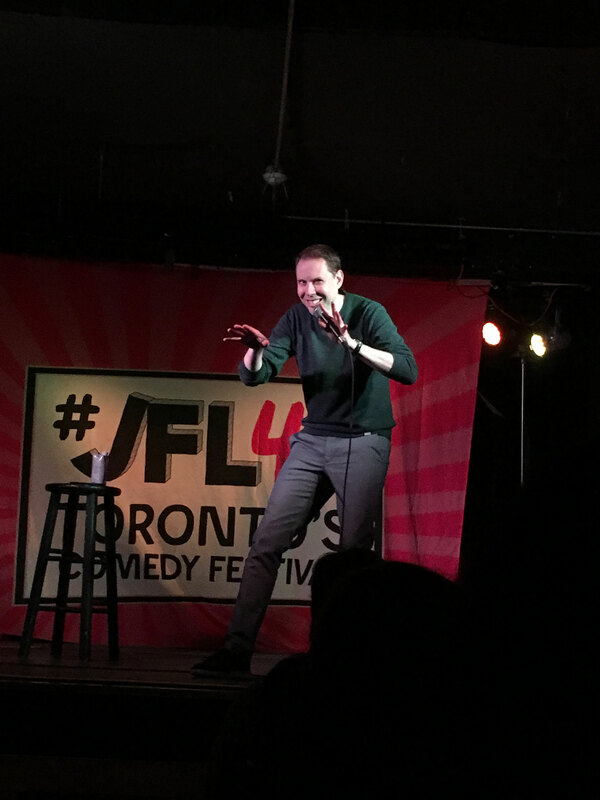 Spent most of the rest of the day walking – bought a fall jacket, and went to see Ryan Hamilton, a comedian I like. Ate at Fat Pasha. Started a new Edith Wharton: The Custom of the Country. All told, a success, though I’m almost too worn out to drop into life today. Yesterday was an early get-up, to be ready for possibly singing in the morning session of the orchestra-only rehearsals we were all invited to audit. It’s great to finally hear the orchestra. Sometimes the rehearsal piano gives you a great sense of what something is going to sound like (the harp duet sections are pretty close) but sometimes it’s just a totally foreign sound world. After sitting in orchestra all day some of us got together at a colleague’s house last night, since today is a day off. This ended up meaning that I left my place at 9:30 a.m. and didn’t return until 2 a.m. But since my steam had already been vented as recently as Wednesday, it was an easygoing night for me, gross overindulgence in Girl Guide cookies aside. Thomas Glenn, who plays the Nervous Senator, gave such an impassioned description of his recent exploration of Walt Whitman that I decided I would have to go out and get myself a book of the poems right away. However, by the time I left at 2 a.m., even my favourite late-night bookstores on Bloor were closed. This is truly the glamorous life: No Whitman for Wee Hours. Slept impossibly late today, like a teen. Rousing myself now to walk off the brie and cookies, and maybe visit the AGO before my membership expires tomorrow. 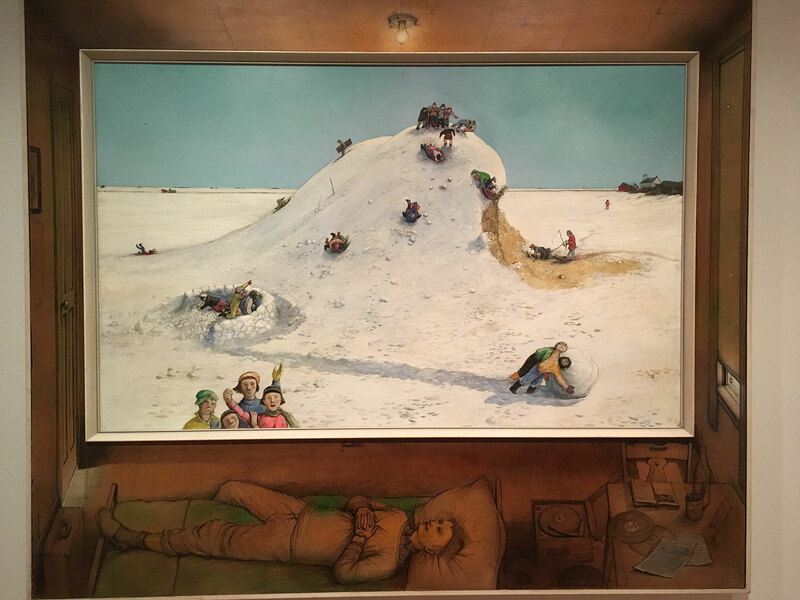 Kurelek made and painted all his own frames. This one blew my mind. I’ve fallen into the unfortunate habit of narrating my thoughts in a sardonic Edith Wharton voice. 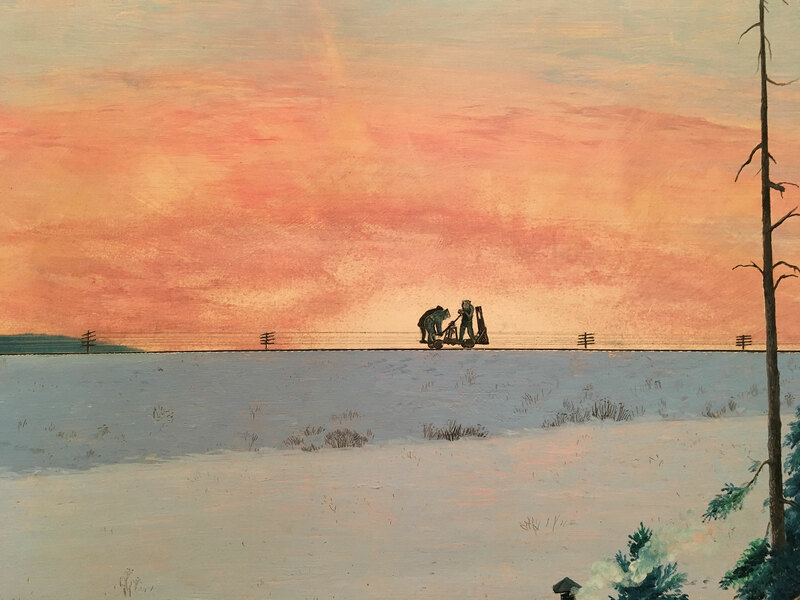 “While Isaiah took a languid interest in the way light fell across the Canadian landscape, he couldn’t help but find the subject, in the hands of some of the nation’s foremost painters, unrelentingly wearying and bleak.” Eye roll emoji. Yesterday’s visit to the AGO was inspiring. I’ve been using that word too much, but what it represents for me is a “filling of the vat” of creative energy. It’s a beautiful thing to encounter someone’s output that speaks to something unexpressed or half-expressed in your own experience. I feel that way about a meditation teacher I’ve found online, who talks about what it means to “be present” in a way that clarifies all the work I’ve been doing here in Toronto. 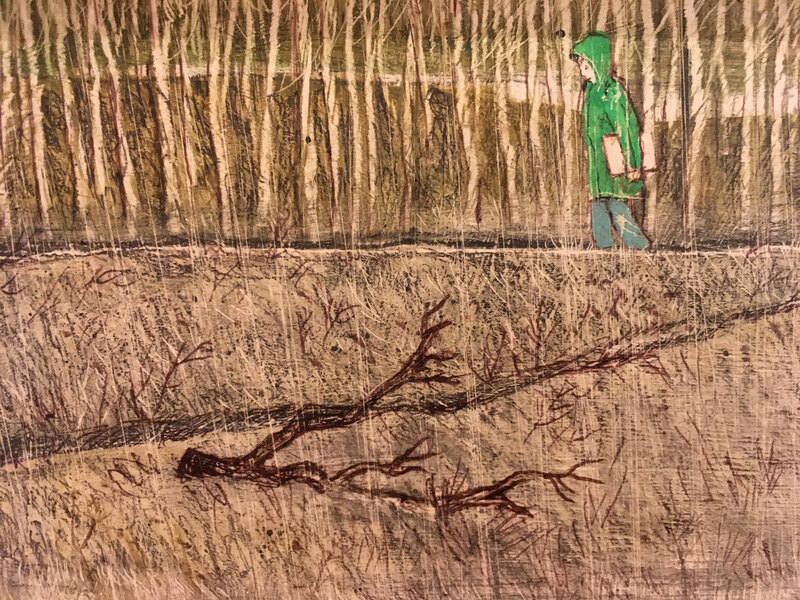 I also felt that way about the Canadian painter Kurelek, whose work I just saw for the first time yesterday. When words aren’t involved, it’s harder to describe how an aesthetic connects to your own life experience. Since I have to be in rehearsal in 10 minutes, all I’ll say is – it made my heart beat faster. This is also a large orchestra, and with the additional newness of hearing myself in the performance space for the first time, there’s going to be a built-in tendency to listen too much, instead of doing and trusting. My goal is to focus on the feeling of singing in my warm-up, to try to pre-empt this. Even though the schedule has not been intense for the past few days, I still feel pretty depleted. 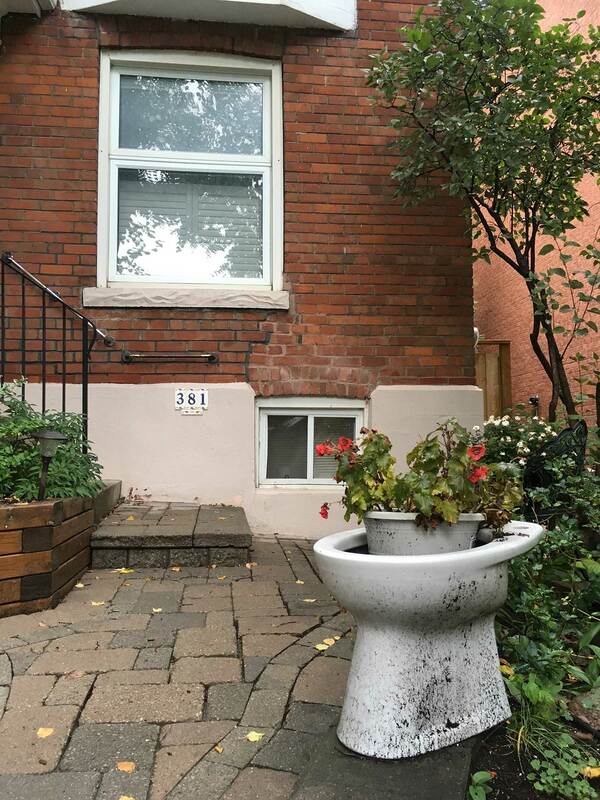 I’m not sure why. I also have a number of good friends I want to see while I’m in the city, but I really haven’t had the time or energy to do anything social. I feel a bit guilty about that, but today I’m beginning to make a concerted effort to be understanding with myself — especially since the upcoming week is going to be another intense one. The day is grey and I can feel myself pulling back from doing anything strenuous or energetic. This includes, but is not limited to, sitzprobes. How to muster the resources today? Can’t-sit-still energy. I’m experimenting today again with letting my body move itself. This is a very weird endeavour that does not take place in front of any other humans… At least not in its unbridled form. I realized last week that when I have excess energy eating me up, it helps to let my body go, twisting and gyrating and squeezing and rocking like a kid who can’t sit still. It’s a really wonderful exercise that serves the double purpose of putting me back in touch with myself and getting energized in a focused way. "Failure for me is a very positive word. I love recovering from failure — and I don't mean crashing and burning in the middle of a show, I mean the little mistakes... [in] the book, The Talent Code... it talks specifically about developing brain paths... about how we actually need to fail to make a very good coating for the brain path. When I read this I was like, "Yes!" because failure for me is the only way that I get into the beyond, whether it’s the failure of a relationship or the failure of a collaborative experience or just the failure of a note, or a phrase, or a breath. That’s the way I learn. The triumphs are all well and good but I’m not learning from that, and I love learning. I just love constantly learning, for me that’s just the drug." You really don’t hear this said much, and it delights me. During this process I’ve been slowly orienting myself more toward this mindset. For many years I’ve defaulted to “are you good today or are you bad today?” Recently I realized that if I can abandon the idea that something’s goodness or badness is what defines it, then I can actually learn from it. Last night was a perfect example of this. 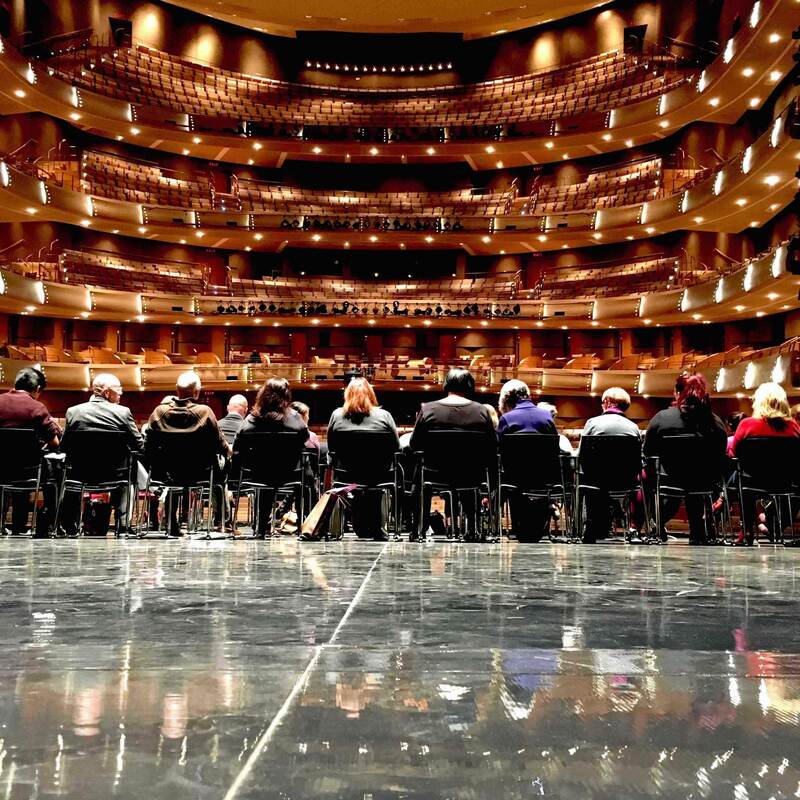 I found myself a little scattered in the first part of rehearsal, but I made a pointed effort not to go down the path of judgement, and that reorganization helped me incredibly as I approached my most challenging scenes in the second half. Whenever I say an experience was full of learning opportunities, or opportunities for growth, it’s not a euphemism for failure. Or if it is, it’s only in the sense that these micro-failures actually feed development. That real growth is incredibly exciting. This day is so bleak, weather-wise, but for me the actual rehearsal process was pretty light. Just one afternoon stage tech. Somehow I still manage to feel exhausted. It’s days like this that make me rethink my ambitions to direct... could I manage being in the theatre 16 hours a day for days or weeks on end? Singer schedules are so comparatively light. This gourd is literally the size of a human toddler. I love the autumn! 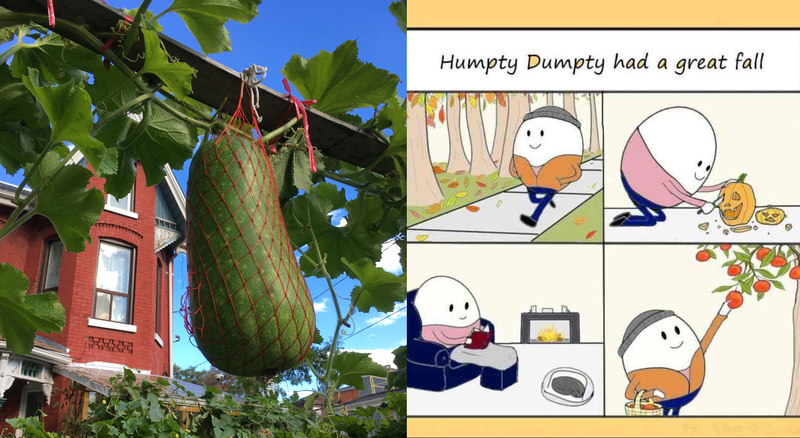 The strolling Mr. Dumpty is me every day this week. Everyone always says you’re not supposed to listen to yourself while singing, but it is a hard habit to get into. As we are doing our first staging work through on the set, of course my ears are pricked up to how my voice is carrying into the hall. This doesn’t help me when we’re all wailing away in large ensemble and chorus scenes and I’m trying to pick out my sound from the hall to analyze it. I’ve just now been practicing in my dressing room with my ears plugged, to see if I can focus on tuning in to the sensation, as my teacher always tells me, instead listening to the sound I’m getting back. It’s not a very nice way to practice, but it sure does make you realize a lot in a short period of time. Things just go so much better when I treat rehearsal like rehearsal and not like an audition. I found myself in the middle of this tech rehearsal — when we’re riding machinery for the first time, singing the music with new cuts, and negotiating all the perils of getting to know the space — chastising myself for not connecting to myself the same way I did in the rehearsal hall, where we’d practiced everything a certain way dozens of times. 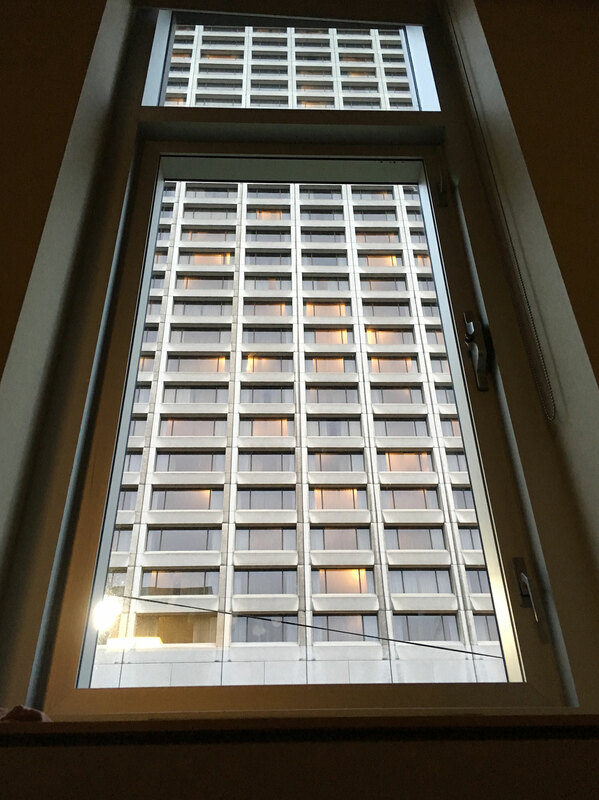 When I was able to let that go, I could observe what was actually happening, instead of unfavourably comparing what was happening to what I felt should be happening. I’ve been riding this idea of “being present” a lot these past couple months, but I realized this evening that I’ve also started equating that feeling of immediacy with the result it sometimes produces. It’s harder to stay present when the moment is messy and won’t necessarily be fixed just by paying active attention. I feel really proud of my work tonight. By bringing my attention back to the imperfect moment, I made some extremely helpful discoveries. For instance, there’s a brief dramatic exchange I’ve been unhappy with for the past couple weeks. It’s never really felt organic. It comes after an extended section when other characters sing directly to me, but I don’t respond. Today, instead of thinking, “this isn’t right, this isn’t right,” in the scene leading up to it, I just observed what was happening. I saw immediately that my uncertainty about my physical responses was setting me up poorly for dynamic singing. It’s easy to say, “of course it was,” but there’s a huge difference between understanding something with your busy mind and realizing it with your body. Toronto, now you're just pranking me. 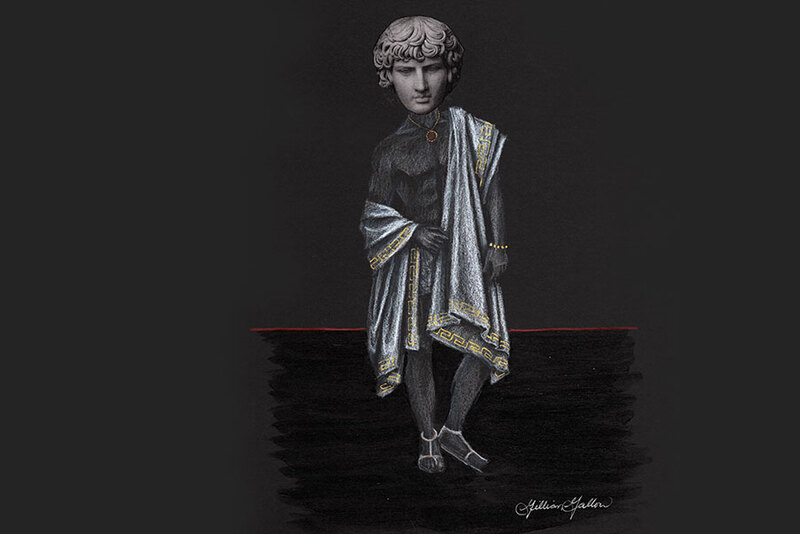 Hadrian is on stage from October 13 - 27, 2018 at the Four Seasons Centre for the Performing Arts.